When Can A Foreign State Tax Your Internet Business? Almost every state (and some municipalities) imposes some type of tax on corporation and LLC income generated in that state. States imposing an income tax generally tax all income of all businesses which have organized in that state. Businesses organized in other states are subject to tax only on income earned in the state or apportioned to the state. Your business will only be subject to income tax in another state if it has a sufficient nexus in (connection to) the state, as I discuss below. Most states do not tax non-business income of out of state corporations or LLC’s. The rules for determining tax liability vary widely from state to state. For instance, some states, such as California, charge a minimum flat franchise tax to all LLC’s that organize in California, register in California, conduct business in California, or receive California source income. But, then imposes an entity income tax on any LLC that earns more than $250,000 based on gross receipts from all income generated in the state. Other states impose a flat corporate tax rate on all business income earned in that state. Any income tax a state imposes must be fairly apportioned according to the U. S. Constitution. This means the states calculate income of foreign corporations and LLC’s that is taxable in the state by applying some formula for apportionment. This formula is based upon the total business taxable income of the corporation or LLC and often uses ratios of property, payroll, and sales within the state compared to those items outside the foreign state. The requirement to qualify as a foreign corporation is separate from the requirement to pay or collect taxes. Even if you do not have to qualify, you may have to pay income or franchise taxes, or collect sales or use tax for that state. The question of when your online business must qualify to do business in another state really boils down to what activities will expose your Internet business to out-of-state business income tax. If you generate revenues from sales to residents or businesses located in other states, the business will be considered to be ‘doing business’ with that state. But, before any business income tax may be imposed, some logical and substantial connection must exist with your business and the foreign state. This is also called having a nexus with that state. The Interstate Income Act of 1959 (Public Law 86-272), enacted by the U.S. Congress, was the first federal body of law that attempted to clarify what connections establish a nexus between a foreign state and a multi-state retailer. Basically, this law prohibits a state from imposing a net income tax if a business’s only activities in the foreign state are soliciting orders for sales of tangible personal property which transactions are then sent, processed and shipped from outside of that state. Public Law 86-272 does not protect a corporation in the state where it is incorporated (or LLC) and it does not protect sellers of services or intangibles. In addition, net worth or gross receipts taxes and sales and use taxes are not covered. When the business is not protected by the umbrella of PL 86-72, then a nexus must exist before a state may tax the income of an out-of-state business. In this case, a multi-state business must have either a: 1) substantial physical presence in the foreign state; or 2) an economic presence within the state. This substantial physical presence standard is a standard laid out by the Supreme Court in Quill Corporations vs. North Dakota (1992), and has provided guidance to Internet businesses ever since. This case involved the state of North Dakota imposing sales tax collection responsibilities on an out-of-state retailer. The Court held that the Commerce Clause of the U. S. Constitution required some physical presence in that state for a substantial nexus to exist. Basically, the court held that mail-order merchants did not need to collect sales taxes for sales to residents of states where they did not have a physical presence. Although the case dealt with a catalog mail-order company, the ruling has subsequently been applied to all remote sellers, including online retailers. However, the Supreme Court in Quill did not specifically state that the physical presence requirement also applied to income and franchise taxes. This lack of clarity has generated uncertainty for Internet businesses. States are generally split on whether an out-of-state business that does not have a physical presence in a state can be legally forced to file any type of tax returns with the state. Several court decisions have ruled that physical presence is only relevant for establishing a sales and use tax nexus (for example, Tax Comm’r. of the State of West Virginia v. MBNA, (2006)). Some of these cases have held that merely having an economic presence in the state can also create a nexus. Simply earning income from customers located in another state and establishing enough of an economic nexus with that state may subject your Internet business to income tax liability. Additionally, most states require foreign corporations and LLC’s that conduct business in that state to file state income tax returns. This may be required even if the entity has not registered to do business with the state as a foreign corporation or LLC. Most states have provided guidelines via state statutes or through administrative regulations on what types of economic presence in the state gives rise to a sufficient nexus. But, state laws are far from uniform and they rarely provide certainty to businesses. For example, some states presume a certain number of customers or a certain level of gross receipts generated from the state give rise to an economic nexus. In two fairly recent cases, the highest courts in two states held that the physical-presence requirement applied only to sales and use taxes, and that it was not required to establish nexus for income and franchise taxes. The state supreme court in both New Jersey and West Virginia concluded that the physical-presence requirement applied only to sales and use taxes. As it stands, a number of state courts have held that the physical-presence rule does not apply in cases involving the licensing of intangibles to related parties. But, a number of state decisions uphold the physical-presence rule as well. 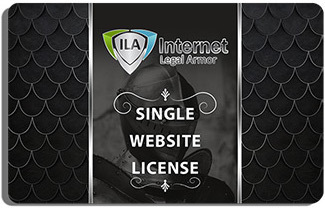 So, there is certainly a lack of clarity and this has been very frustrating to many Internet businesses, affiliates and e-commerce attorneys. It appears the economic nexus standard and not the physical presence standard is the trend being followed by most states to assert income tax liability. Until the United States Supreme Court takes up the issue or Congress steps in, there may be no reversal of the economic presence standard. Accordingly, you should anticipate tax liability if you do in fact have out-of-state income and meet the criteria established for establishing an economic nexus under state law.